Research from Trinity College Dublin has found that egg-guarding habits help boost species diversity. RESEARCHERS IN DUBLIN have found that the so-called “urge to find Nemo” among some fish leads to an increase in species diversity. 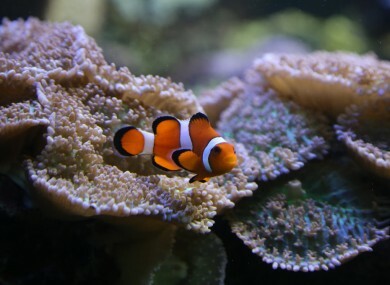 A study, published in the journal American Naturalist, found that species that guard their eggs, such as clownfish, are far more likely to evolve into a diverse range of new species. This is compared to those that hatch floating eggs and hope for the best. The research has identified that the profound evolutionary differences between the two is likely due to the distances involved – species that disperse widely also tend to mix more frequently, as opposed to ones that say close to the ‘nest’. When fish diverse widely, individual stimuli in a certain environment are far less likely to have an effect on their evolution. Co-author of the study and Zoology Professor at Trinity College Dublin Dr Yvonne Buckley said that it is “amazing” that this single factor is so crucial in “explaining species diversity patterns that span over 100 million years”. “The diversity of fish that live on reefs are threatened by overexploitation, climate change and pollution all over the world,” she added. Not only are we losing beautiful species, but we may also be changing the course of evolutionary processes that lead to diversity in the first place. The Great Barrier Reef, one of the most biodiverse places on Earth, is at risk of having its status downgraded by the UN cultural organisation UNESCO to “world heritage in danger”. Despite threats of a downgrade without action on rampant coastal development and water quality, Australia in December approved a massive coal port expansion in the region and associated dumping of dredged waste within the marine park’s boundaries. Email “Fish with protective parents (like Nemo) are more likely to evolve into new species”. Feedback on “Fish with protective parents (like Nemo) are more likely to evolve into new species”.